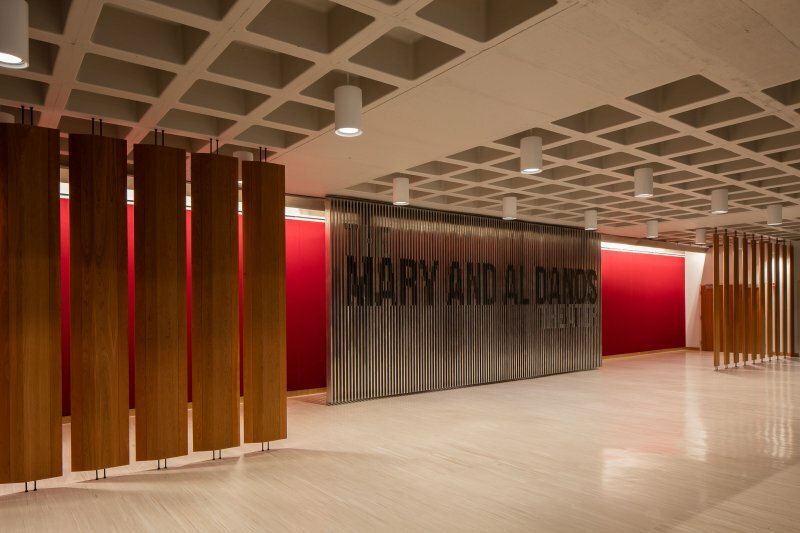 This $6.8M renovation of a two-story academic building constructed in 1970, focused on two distinct spaces within: the Mary Danos Theatre and classroom/learning environments. 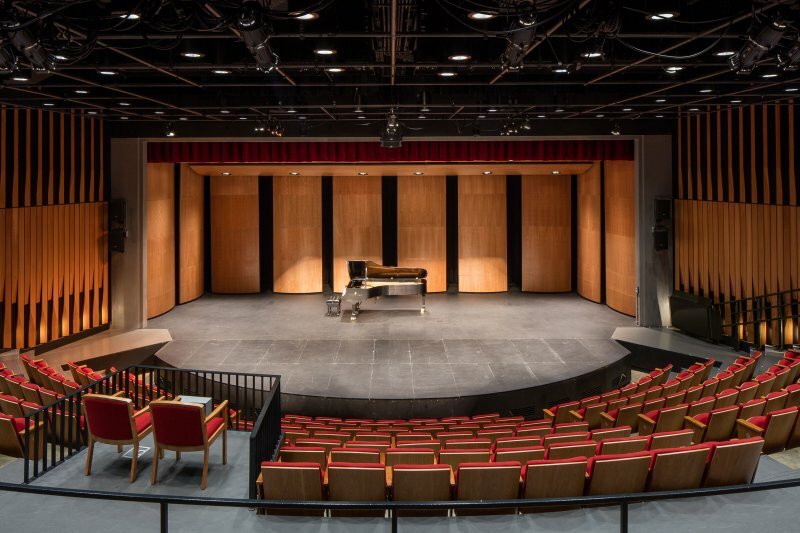 A 200-seat performance venue and the largest auditorium on campus, the theatre received new seating, lighting, and sound systems and an updated palette of finishes adding a contemporary and welcoming feel to the space. 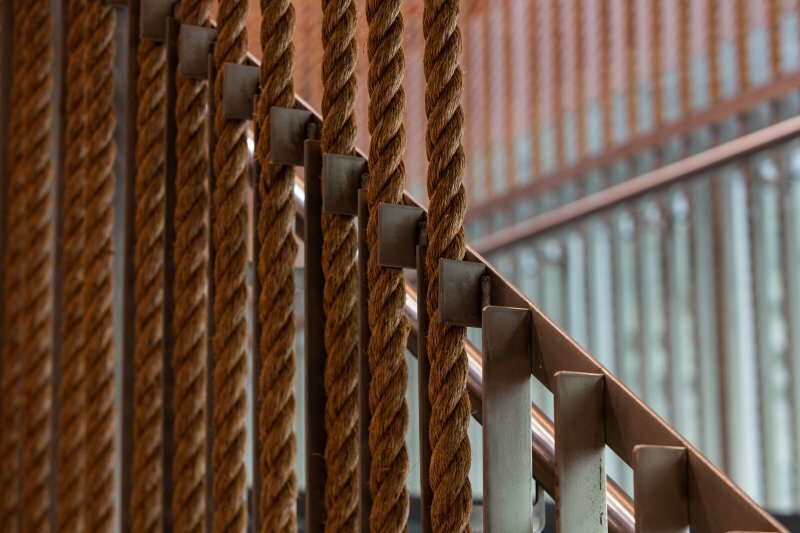 The stairwell that once graced the front of the building, was brought inside, lined with ropes and tassels emulating those inside the theater. 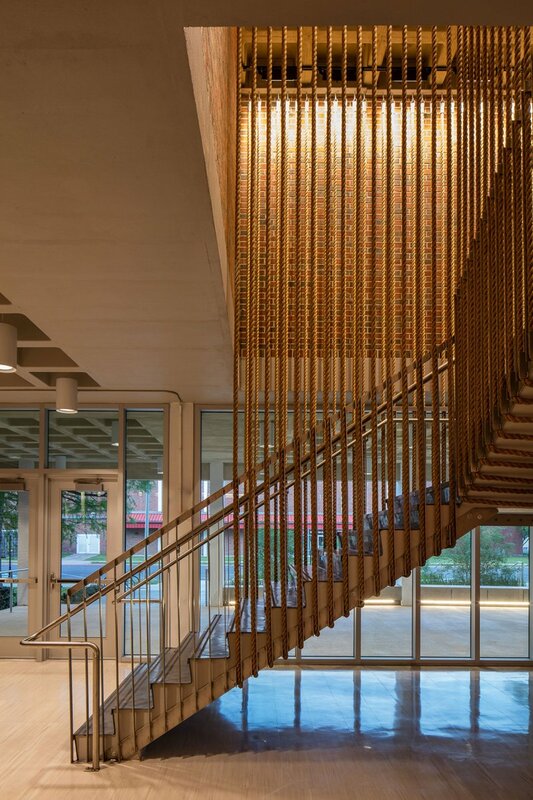 The lobby and associated pre-function areas were also updated with the same materials and finishes, bringing a new sense of purpose to a critically important facility. 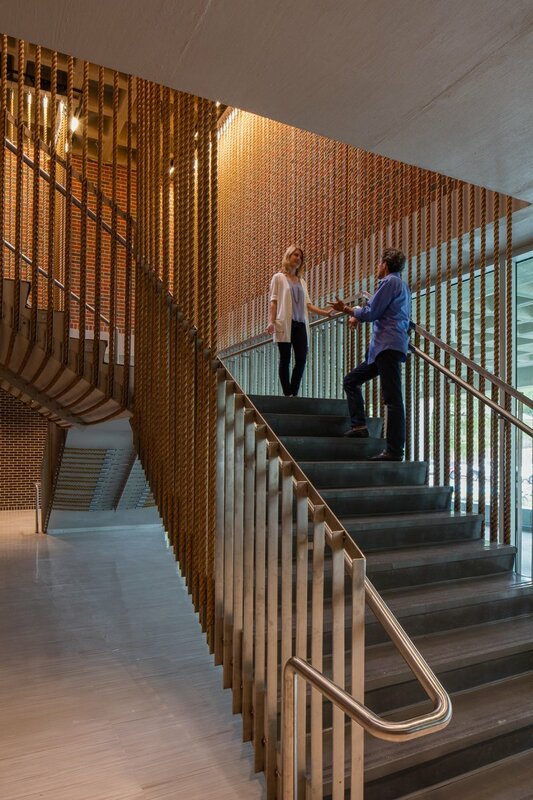 Renovations extended to the learning environments within, featuring structural and technological enhancements including new seating, curtains, flooring and state-of-the-art lighting and sound equipment. In tandem, the campus TV studio, KNSU radio station, and two Talbot Hall classrooms all received technological upgrades.